The FCBEscola project will have its first two bases in Oceania after it was announced that two new schools located in Sydney and Brisbane will open by the start of the 2017/18 season. From next season, FC Barcelona will have 33 permanent football schools located in all five continents. 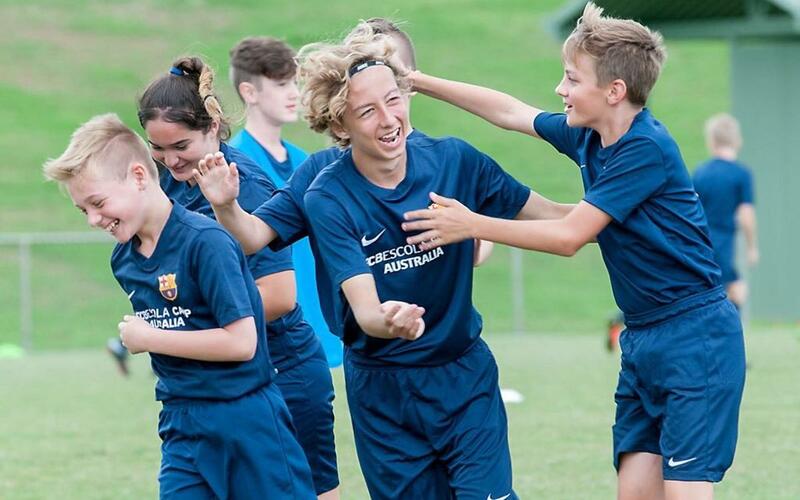 The FC Barcelona football schools are constantly expanding and will now open their doors in a region where it has been successfully working with BCN Sports to run various week-long FCBCamps since 2015 in Australia and New Zealand. BCN Sports are also responsible for the FCBEscolas in Canada. FCBEscola is FC Barcelona’s own model for football schools aimed at offering pupils comprehensive training, and which has been applied internationally with an eye to spreading the Barça name as well as transmitting the Club’s values and work ethic around the world. FCBEscolas apply the same methodology used in Barça’s regular youth teams through to the first team, one that promotes attack-minded, creative football and always looks to transmit the values of respect, humility, effort, ambition and teamwork. Currently, FC Barcelona has a total of 23 FCBEscolas in operation, as well as 170 camps and 50 clinics in over 40 countries across the five continents with over 40,000 children taking part in the different activities. In the next few weeks, FCBEscolas will open in Guatemala and Montreal (Canada) and the plan is to open new schools in Haikou and Chengdu in China and Austin and Virginia in the USA before the start of next season.